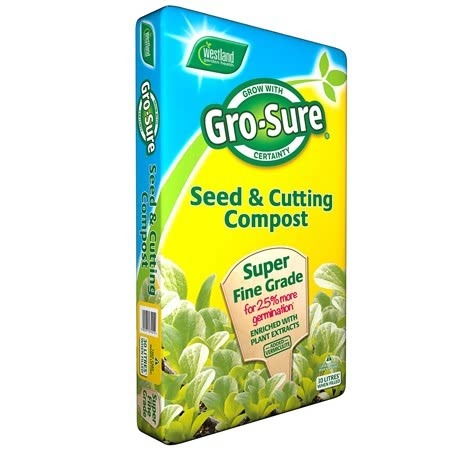 Suitable for sowing February - April. 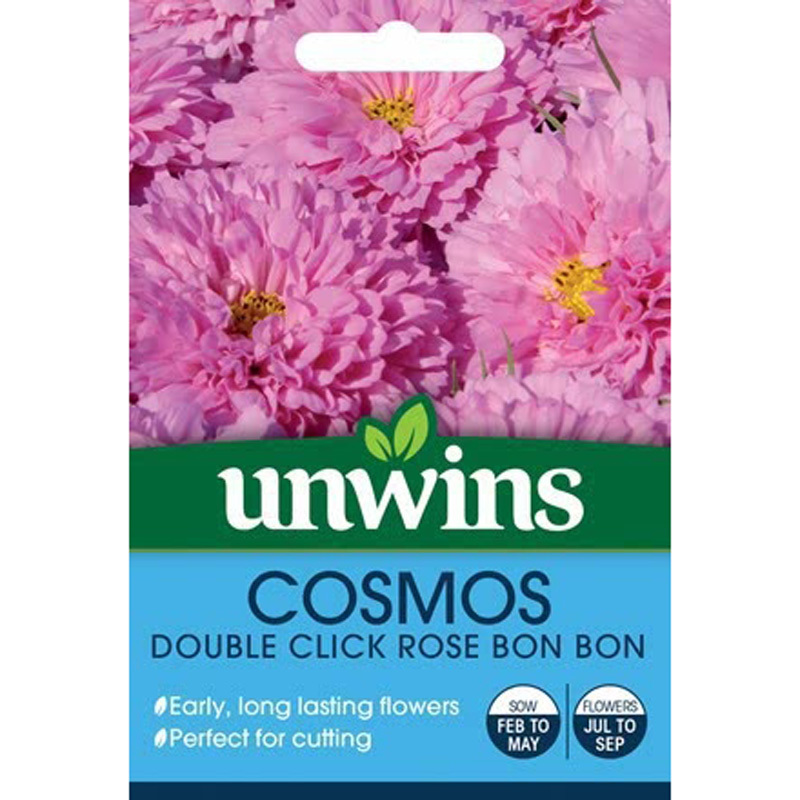 Cosmos bipinnatus (half hardy annual) - Earlier to bloom than other cosmos, this pure white semi-double form is admirable in mixed borders or cottage gardens with its elegantly tall habit. 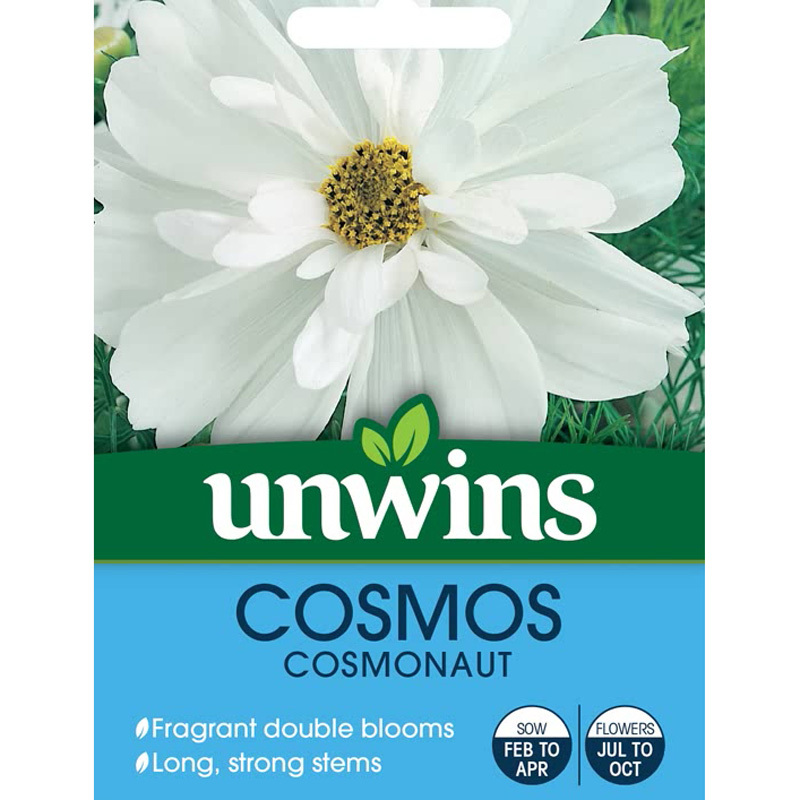 If you would like further information about Unwins 'Cosmonaut' Cosmos Seeds, please contact our garden centre at Shawbury just outside Shrewsbury in Shropshire, by calling 01939 251315 or emailing.